The Bodo traditional faith Gwthar Bathou San or the ‘Bathou day’ is all set to be celebrated on Tuesday. 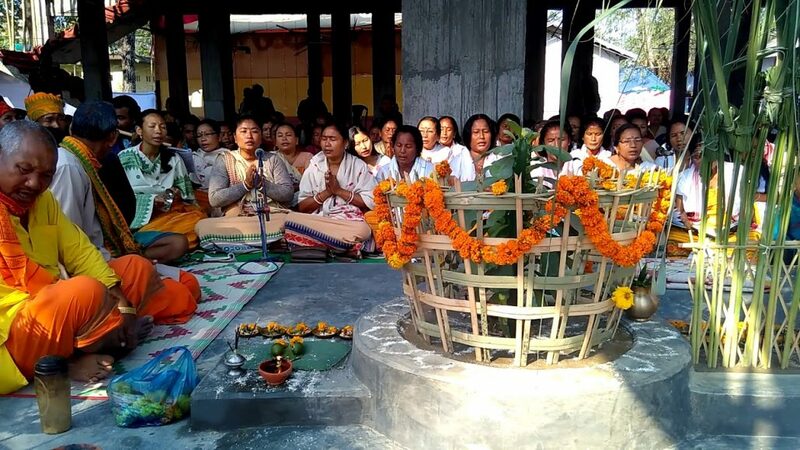 In Bodoland Territorial Council (BTC) headquarter Kokrajhar, the Kokrajhar district All Bathou Mahasabha is observing the day at Bathou Thansali situated at Bagansali in Kokrajhar town with a day-long scheduled programme. A strong reception committee has been formed with Doneswar Gayary, BTC executive member as chairman and Abhiram Basumatary as convenor for the smooth functioning of the Bathou san celebration. Interacting with media in Kokrajhar on Sunday, working president of Kokrajhar district All Bathou Mahasabha Rajani Kanta Mohilary said like previous years, this year too, the Gwthar Bathou San will be observed in a befitting way through various religious programmes. He said as per day long programme, a mass prayer for world peace will be held in the morning hours, followed by Bathou religious cultural peace procession will be carried out which will be flagged off by Assam social welfare minister Pramila Rani Brahma. Later open session will be held which will be inaugurated by BTC deputy chief Kampa Borgoyary. The chief of BTC Hagrama Mohilary will attend the open session as chief guest while chief organizing secretary, All Bathou Mahasabha Dr Liladhar Brahma will be the appointed speaker. A Bathou Bisombi (souvenir) will be brought out on the occasion which will be inaugurated by Bodo Sahitya Sabha president Taren Boro. The Gwthar Bathousan is celebrated in the second Tuesday of the month of Magh, which was celebrated by the Bodos as Bathou san. The state government has since last year declared the day a full-fledged holiday in Assam to mark the day.